Here are just some of the stories from our previous graduates and our current students. Our students come from all over the world and often end up working across the world too. Coming from a huge variety of backgrounds, our students graduate with an international outlook and connections with students from a global background. With this international experience, students frequently find jobs at globally recognised companies such as; Ted Baker, Mr Porter, Burberry, Margaret Howell, All Saints, Arcadia, Michael Kors, and Harrods to name just a few. Phattaranan Ruamchai is currently studying the MSc International Fashion Marketing course at GCU London. Below she talks about her course and her time studying at GCU London. “They have lots of classes about fashion. It’s not just general knowledge; they’ve taught me professional knowledge. “In one class, they taught me how to do a marketing plan through a real situation, a real simulation in class and that is fantastic. I feel like I am a marketer. Working in that company was very complicated and very hard but very fun. “They’ve taught me not to just think about the profit when you are selling your fashion products, but you have to think about the environment too. Rita is currently studying the MBA Luxury Brand Management course at GCU London. Here she talks about her course, the guest lectures she’s attended and the places she’s visited as part of her course. “I chose this University because it offers the luxury brand management MBA course which is a rare and new course. It focuses on modern issues and growing regions of the world which pulled me in even more. “It has a great location and an international environment. There are many reasons why I’ve made this decision and I confirm I am glad I did. “What I have enjoyed most about studying at GCU is the lectures given by professors who are helpful and most importantly are professionals in each of the chosen fields. This made us look forward to the lectures where we learned a lot of relevant and up to date information. The way professors include students into the lesson was very motivating as well. “Our program leader Tim Jackson organised lectures by guest speakers who visited us on the campus to give us more insights regarding the reality of the luxury industry which was very interesting and enjoyable because we learned from specialists and professionals. “The Highlights of this MBA were definitely the trips we went on, for example, Bicester village or the Chapel Down Vineyard in Kent. So not only did we learn from specialists in our field over there but it was also an opportunity to enjoy time with classmates outside a classroom setting. “Another highlight would be the variety of subjects we covered during the course. This MBA has improved my knowledge in some subjects that I have previously studied but most importantly introduced me to others that I never thought I’d enjoy such as finance or legal aspects. Ariel is currently studying the MSc Fashion Business Creation course at GCU London. Ariel previously studied the BA (Hons) International Fashion Branding course at our Glasgow campus and joined us in September 2016. She tells us about her experiences of studying and living in London. 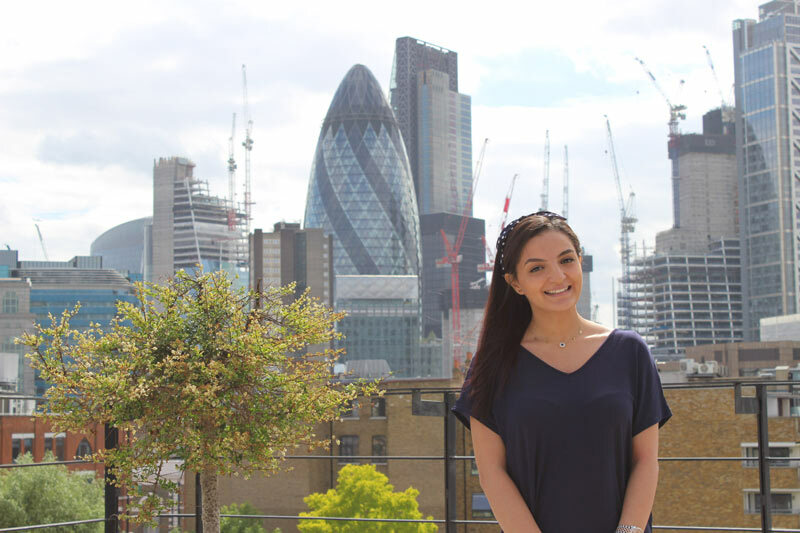 “There are many reasons which pushed me to decide to study at GCU London. First, it’s the location. London is an amazing city for fashion, and it has many opportunities to study and work. Second, GCU London offers me opportunities to talk to successful business people face-to-face. It is quite useful to hear their experiences. Third, because of the subject; MSc Fashion Business Creation is a new subject in the fashion industry – GCU London is the only fashion school in the world to offer this subject. 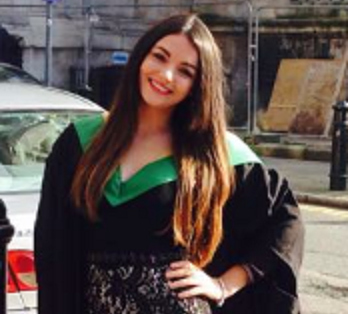 “Before GCU London, I studied International Fashion Branding at the Glasgow campus. When I was in Glasgow, I heard lots of information from my tutors and University staff about GCU London. “I chose my course because I had the relevant academic background in fashion and I am interested in fashion business. Furthermore, the course tutors, such as Christopher Moore and Erica Charles, are amazing . They have very strong professional and academic backgrounds, which is very helpful. “I have learnt a lot during my time at GCU. They told me if I want to finish my work perfectly, I need to know what a team is. I also learnt how to think independently and I need to tell others what I am thinking and what my opinions are when I am working with others. 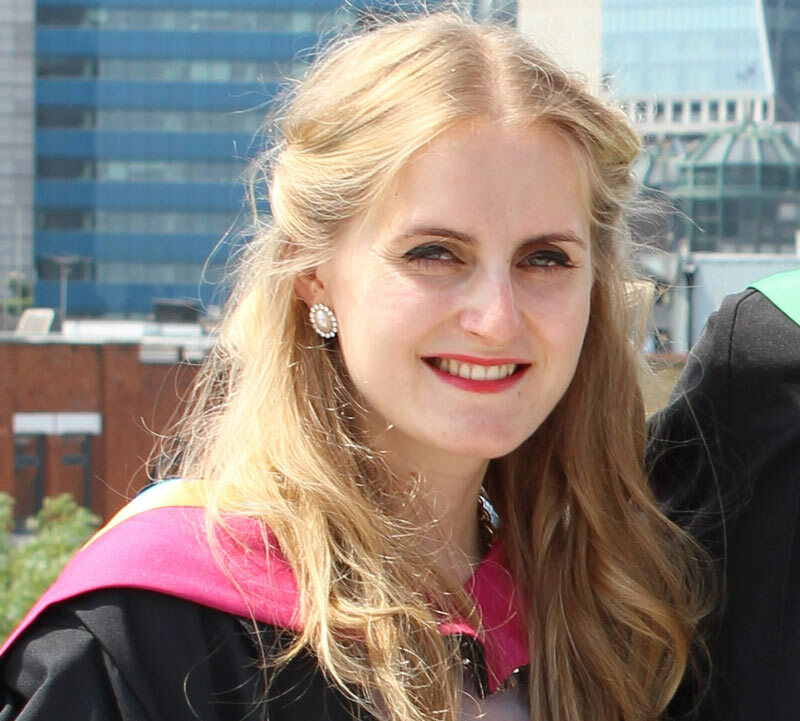 Nele studied the MBA Luxury Brand Management course at GCU London and graduated in June 2017. Here she talks about her course and her experience studying at GCU London. Jessica studied the MBA Luxury Brand Management* course at GCU London and graduated in November 2015. Upon graduation she told us about her experience studying at GCU London. Jessica now works at Harrods. She said: “Honestly, it’s the best feeling of my life! “I’ve worked really hard and it’s amazing to be able to achieve such great results with such amazing staff. The teachers are just excellent and I don’t think I could have chosen a better University. “I loved the Luxury Retailing module. That was amazing because the lecturers were so passionate about what he was teaching that we all got so interested in it. We were all going to different stores, comparing the architecture and trying to understand the passion of the designer in creating the brand. There were a lot of emotional aspects to it which was a lovely experience, really enriching. 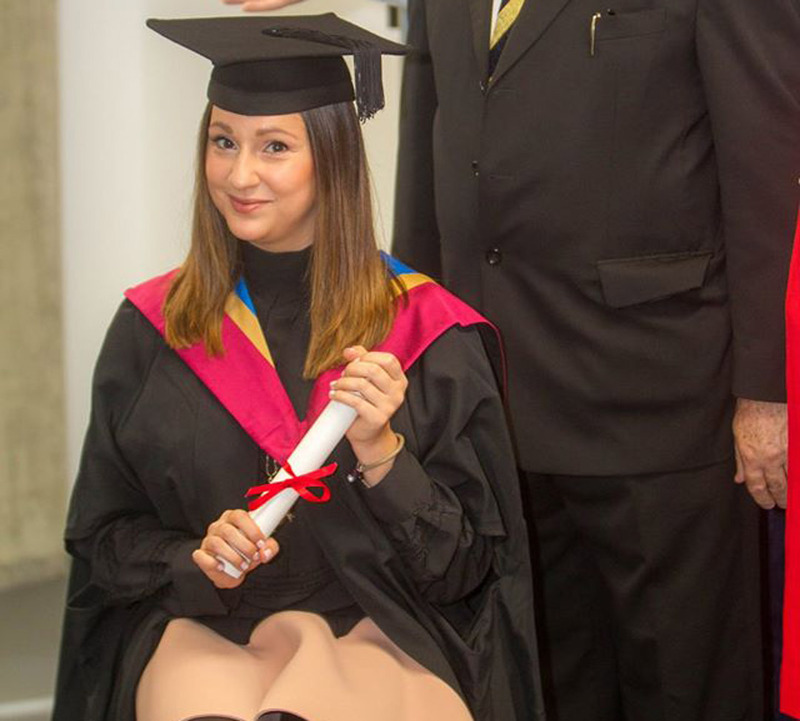 Federica Apice, a graduate of MSc International Fashion Marketing at GCU London. 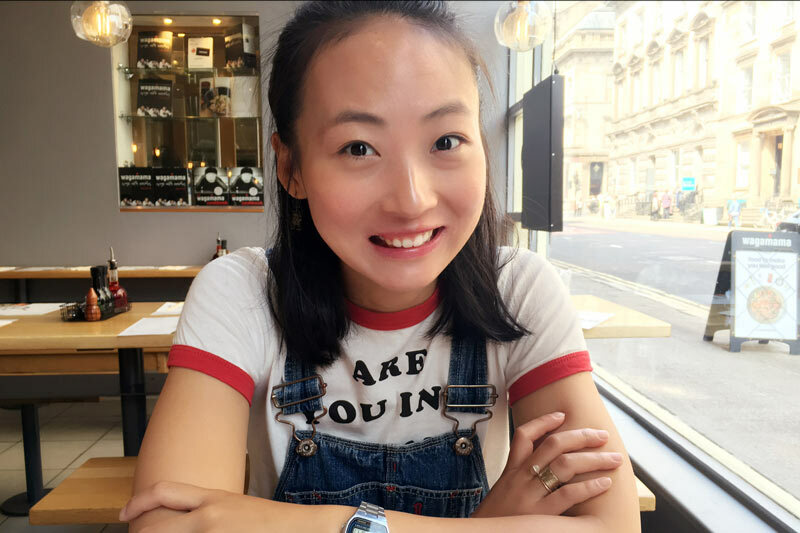 Read on for a Q&A on her experience of studying at GCU London and her successful career since her graduation. Federica works now for the famous brand, Michael Kors as a Press Office Assistant. “Being an international student in a new city, studying in a different language might be scary, but since the first day I have always felt as if I was in a big family! Clearly it wasn’t a piece of cake, the course required a lot of hard work and challenges as well, but I believe the time spent at GCU helped me a lot to develop my skills and knowledge for my career. Mélodie Allais is a graduate of MSc International Fashion Marketing at GCU London. 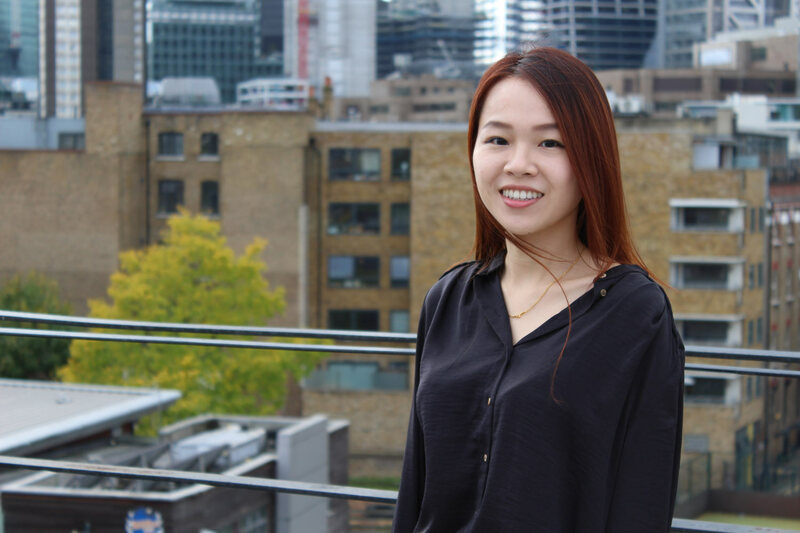 Read about her experience of studying at GCU London and her successful career since her graduation. Mélodie now works for Calvin Klein as an Account Manager. 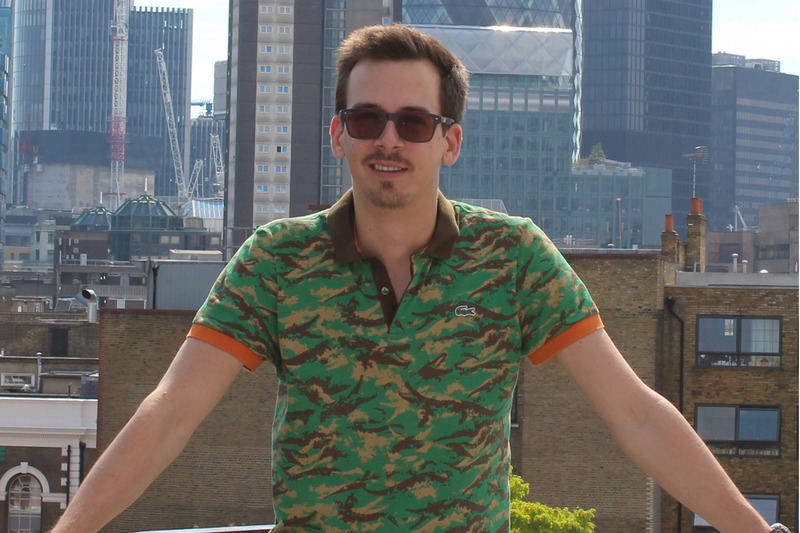 Bogdan studied the MSc Luxury Brand Marketing programme at GCU London. Below he tells us about his time at GCU London, as well as his experiences as a Sales assistant Intern at Prindiville Prestige, a luxury supercar company. Bogdan has lots of plans for the future and wishes to carry on working in the world of Luxury Marketing. His main goal is to have his own luxury brand business and he is currently working on it during his studies. 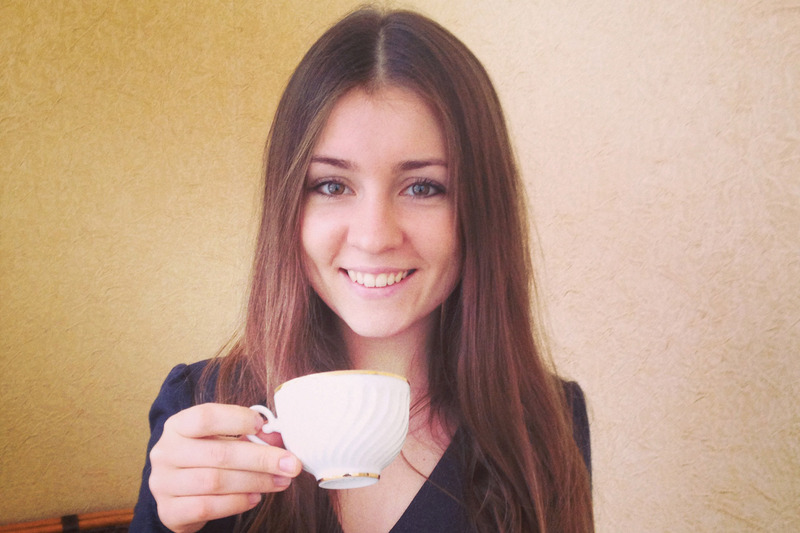 Meet Alena Tyurina, an alumni MSc International Fashion Marketing, who recently completed her course. 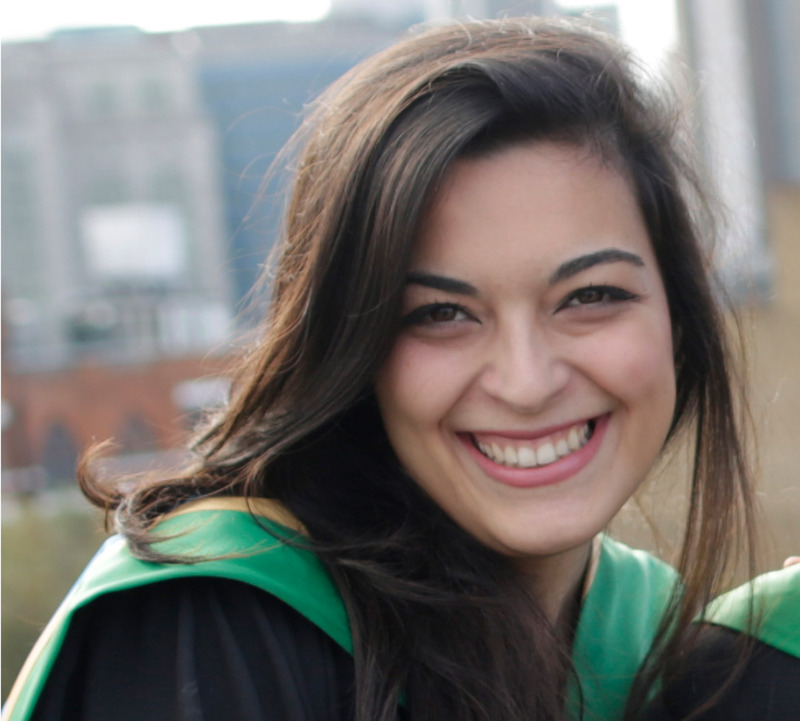 Read on for a Q&A on her experience of studying at GCU London. What did you do before joining GCU London? Before GCU London I did my bachelor degree in logistics and supply chain management and was working as a logistics department coordinator in Puma Rus. I observed the working process of our marketing team and decided to continue my development in fashion marketing. What attracted you to apply for this course? I wanted to study Fashion marketing abroad and I liked GCU London’s programme structure.  I decided to choose the London campus as London provides more opportunities for developing my career. The highlight of my course was gaining theoretical knowledge combined with practical implementation during our group and individual projects. For me, I have learnt more about developing brands, understanding consumer behaviour and the fashion industry in general. We also had an overview of the logistics part of fashion business, the basics of fashion buying and merchandising, and strategic marketing as well. London is such an amazing city! It’s very vibrant, full of contrast areas and just the atmosphere is great. It’s so multi-cultural and you can meet wonderful people here. In terms of the fashion industry, there are a lot of opportunities. Tell us more about what you’ve enjoyed whilst studying this course? I really enjoyed the guest speaker events organised by Karinna Nobbs and Maggie Smart. All the events were interesting and relevant to the fashion industry. If you had one piece of advice for future students what would it be? If I had to give advice to future students, I would say you should probably try to do an internship while you are studying, even if it’s part-time. This is a good way for gaining practical experience and implements your knowledge from university. At the end of your course you will have work experience that is very important for your future employer along with your MSc Degree. GCU London is situated in an amazing location. 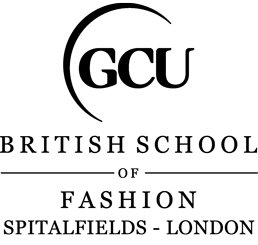 It is a fashion hotspot and the luxury and fashion market is very vibrant here. I’ve also really enjoyed studying with students from so many different countries and backgrounds. I really enjoyed the module of Digital Fashion Branding & Marketing, it gave me the freedom to design my own brand from the ground up, from the logo through to how it should be advertised. It provided me with a good insight into the operation of a fashion business from a practical perspective. Life as a student at GCU London is quite enjoyable. The staff are really supportive and the course is great. The lectures are informative, well-structured and interesting, the lecturers really help you to understand the fashion industry. Outside of lectures, I enjoy spending time with my friends that I have made while studying at this course.